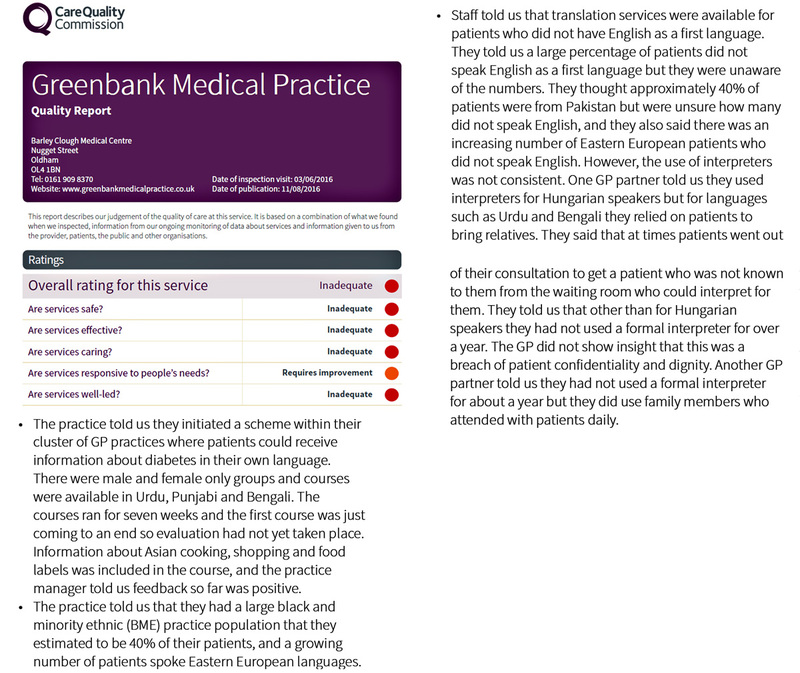 An Oldham Medical practice now placed in special measures by the Care Quality Commission had among its many transgressions used patients from the waiting room as translators, pre-employment checks were not always adequately carried out, paid insufficient attention to safeguarding children and vulnerable adults. Also notable was that the the practice offered separate male & female diabetes courses for which we cannot identify any logical reason other than archaic cultural segregation practices. You can download the full Care Quality Commission report by visiting their website link below.